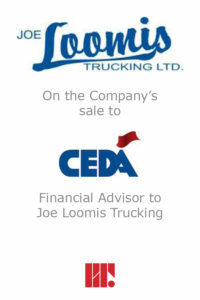 Redcap&Truss acted as exclusive financial advisor to the ownership of Joe Loomis Trucking Ltd. (“JLT”) on its sale to CEDA. 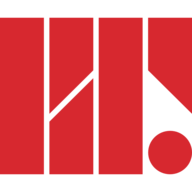 Founded in 2006, JLT operates a high quality fleet of hydro vacuum and combination vacuum units from its base of operations in Dawson Creek, British Columbia. The team at JLT is dedicated to providing a first class customer experience based on safety and integrity to oil and gas operators throughout the region. “We had a unique process where we almost sold to one group, realized it wasn’t the right party or time, continued to run our business and eventually sold to CEDA two years later. The Redcap&Truss guys worked with us all through that time, continued to monitor the market and narrowed the list of potential buyers until we were satisfied that CEDA was the right fit. The guys took care of managing all the paper work and I was able to manage and continue to grow my business during the entire process.” – Joe Loomis, majority shareholder of Joe Loomis Trucking Ltd.